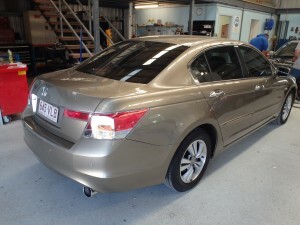 We can repair and respray any car that comes into our workshop. Even classic cars! We’re an authorized repairer with qualified tradesmen able to repair or repaint your pride and joy to original manufacturer’s standards. 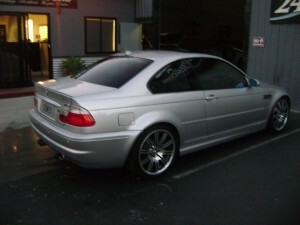 No matter what vehicle you have, we can repair & respray your car to look better then new! Our repairs are undetectable so you won’t regret choosing our services. Just see some of our work. 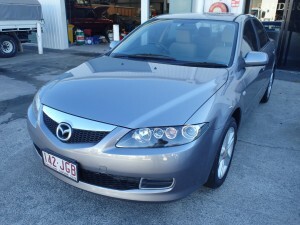 Check out this before and after of this Mazda involved in an accident. If it’s broken – we will fix it! Our technicians carry out routine checks on all vehicles during the repair process, so you can be sure to have your car returned to you not only quickly, but fixed to original manufacturer standards. Contact our team today to see how we can help you get back on the road. 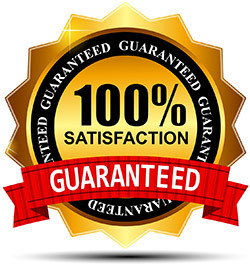 At Sandersons we promise to provide fast, expert service on every car scratch repair. Our team does this because we know all too well how frustrating and embarrassing it can be to have a scratch on your paintwork. We all do our best to avoid it, by parking far away from other cars in the lot to securing them at night in a lock up garage. 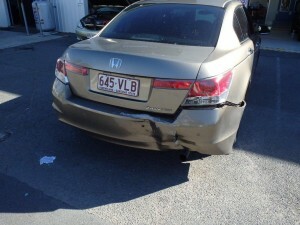 However, sometimes the damage done wasn’t by fault of the car owner. It may have been your Learner driver son practicing his parking techniques or the neighbours cat prancing along the bonnet – we have heard them all! Whatever the reason for the scratch we can fix it. Pronto. 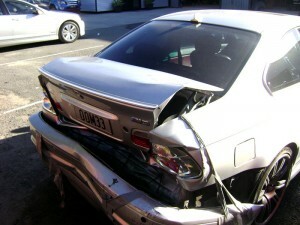 Check out this before and after of a BMW involved in a crash. 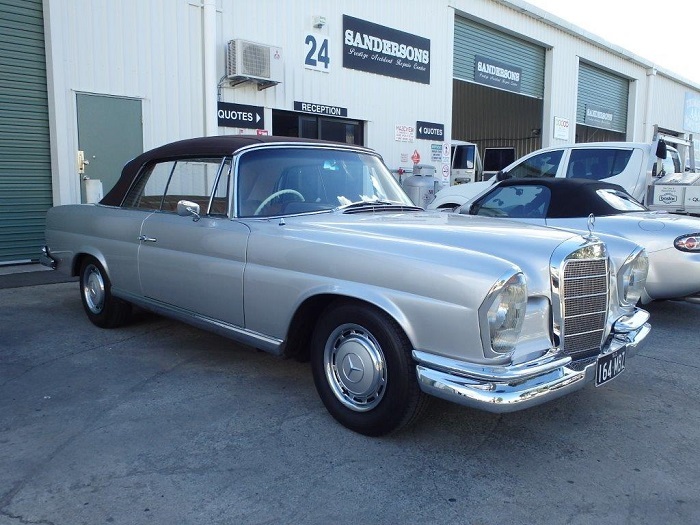 At Sandersons, our talented team can restore your vehicle to manufacturers original standards, with an undetectable result. Why Our Paint System Is Amazing! We resprayed this beauty to an amazing vibrant red! At our workshop, our super experienced painters use computerised paint formulae, measuring and mixing system to ensure your vehicle will be refinished with an undetectable result. Perfect! Contact our team today to see how we can get your vehicle looking impressive & like new! 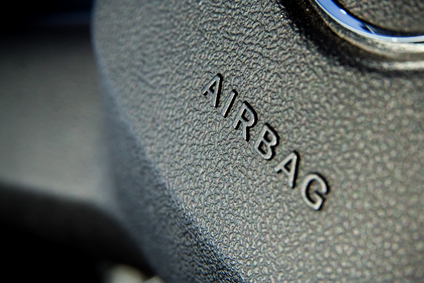 Hundreds of thousands of cars have been recalled across the country due to faulty airbags. It’s become the biggest automotive recall in the world. The company behind it, Japanese airbag manufacturer Takata, supplies 20 per cent of the car industry’s airbags. If you’re concerned about your car, and whether or not you are affected, please visit your local dealership and the Australian Competition & Consumer Commision site. 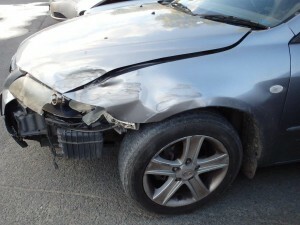 If you have recently been in a car accident, you will have taken your car to get car accident repairs and you may also have a case of whiplash. Ouch! 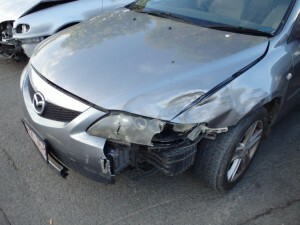 Whiplash is a common injury associated with car accidents and it’s not fun! Symptoms include neck pain, back pain, headaches, dizziness, blurred vision and a ringing in your ears. Treat them by applying ice and heat to reduce neck and back pain and practicing simple exercises to build strength and flexibility in your neck. You can also take over the counter anti-inflammatory medications however you should always consult your doctor first. The ABC have released an article outlining the concerns around proximity keys for new car models. 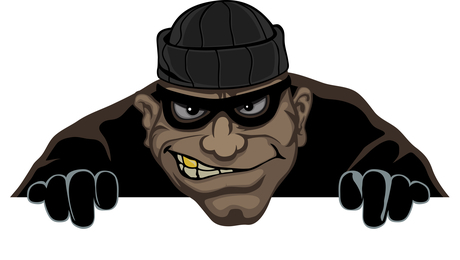 It’s been acknowledged that thieves can steal your car using technology that effects your proximity key. Although this new way of stealing has not yet reached Australia, people have been advised to even keep their keys in the freezer because essentially it is an aluminium box!! While we are not so sure about keeping our keys in the freezer we urge our clients to be vigilant and keep their cars safe from thieves.